In this article, you will learn about some real successes of omnichannel utilization. We’ve already written about the importance of omnichannel for organizations and since it was a bit of a theoretical talk, we’ve decided to provide you with some inspiring examples from innovative and visionary companies. The first company I’d like to mention is Oasis, which is a fashion brand from the United Kingdom. They’ve been improving their omnichannel experience for a few years now, and their outcomes have been an inspiration for many others. First of all, they serve consistent content across most of the popular social networks, including Facebook, Instagram, and Pinterest. Further, their website and mobile app allow their customers not only to buy items online with a home delivery but also to look up their availability in Oasis’ brick and mortar stores, and make a reservation for an in-store pickup. What’s more, if the stock is not available in your nearest store, they will transfer it there for you from wherever it’s currently available. And if you are not sure what to buy, you can always book an appointment with one of the Oasis stylists, who will help you to get dressed up for any special occasion or just recommend you pieces that go well together. Moreover, once you arrive at the store, there are shop assistants equipped with iPads, who will inform you about stock levels and if the desired item is not available, they’ll create a new order and deliver it to your home or nearest shop. 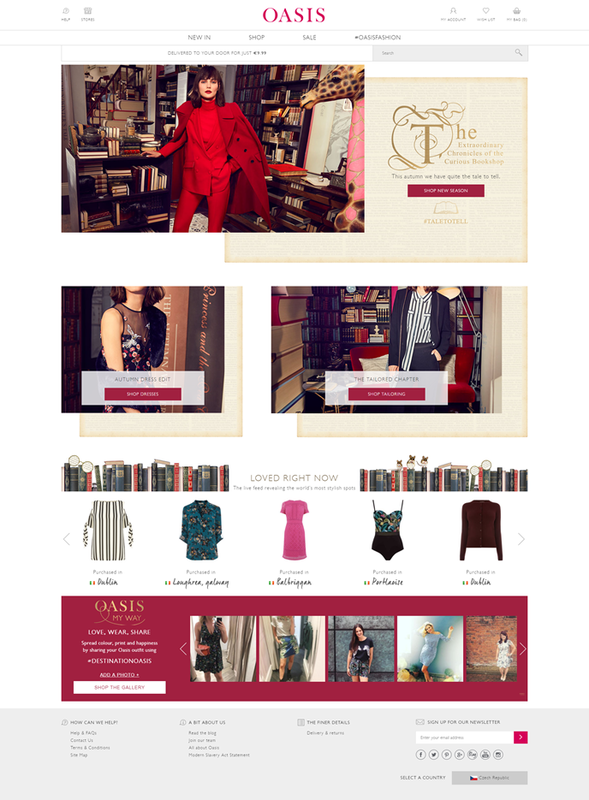 After you are done with shopping, you can take a photo of your new apparel, share it directly on the Oasis website, and inspire other shoppers. This case study is an amazing illustration of providing a great online omnichannel experience and not only connecting it with an offline world, but also transferring some of it’s best parts directly to the brick and mortar stores. Another great example is Disney and their theme park Disneyland. Disney is in the business of delivering magical memories. But anyone who has spent a not-inconsiderable sum of money to visit one of Disney’s parks only to spend hours queuing for rides can tell you how unmagical the experience can seem. Here’s the moment where Disney’s omnichannel experience comes into action. 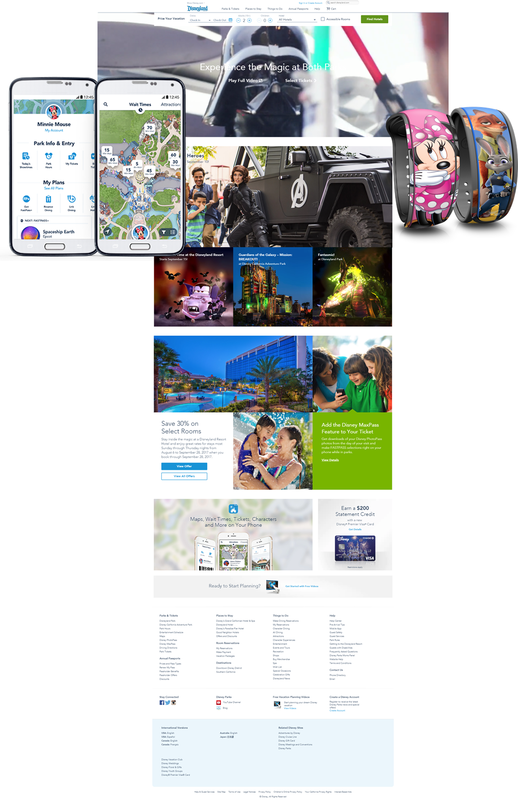 Everything starts with a beautiful responsive website where you can book and plan your entire trip using the My Disney Experience tool. You can select restaurants where you’d like to eat during the day, choose attractions you want to visit, show you what you want to see, and more. Once you arrive at the park, Disney’s mobile app helps you locate and navigate to the attractions and even check the approximate waiting time for each of them. You can also use your mobile as a ticket to your planned fast-pass attractions. And if that’s not enough, your phone will also serve as a photo storage device, which means that anytime you are photographed on any attraction or with a Disney character, the photo appears on your phone. And if you prefer not to be on your phone the whole time of your visit, you can get a Magic Wrist Band, which is also fast pass ticket and photo storage device, moreover, it can be used as a key to your hotel room or it can be linked to your credit card and used for making any payments within Disneyland. You can even personalize the look of the band and order a custom version in advance. In this case, Disney demonstrated how you can create memorable seamless experience by connecting multiple channels like a website, mobile app or smart wrist band together into one unified and working ecosystem. The last example I’d like to mention today is Mexican fast food chain, Chipotle. In Chipotle, they are fully aware of the fact that no one wants to be spending their time waiting in a line to get their food. That’s why they’ve introduced multiple ways customers can place their orders and skip the lines. 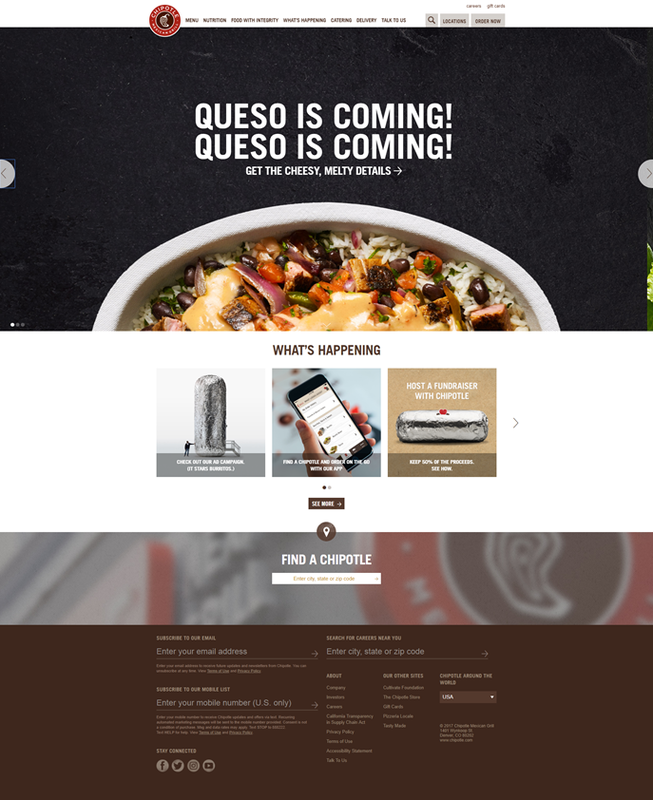 Besides the classic way of making an order at a counter, you can use Chipotle’s website, mobile app, or in-store kiosk. All these channels provide a similar experience, and what’s more, their website and mobile app allow you to make an order in advance, before you actually arrive at the restaurant for a pick-up. You can even save your favorite orders to repeat them in the future, check detailed nutritional information about the food and so on. So imagine that, like Chipotle, you need to distribute your content across all your channels, which in this case means website, mobile app and in-store kiosks. And every new piece of content or update needs to be distributed to all of them while providing consistent information. That’s a true omnichannel experience and it was done right by Chipotle. You might have noticed that all the examples provided are from a different industry, be it retail, entertainment, or fast food. What’s important; they all realized they can’t decide what medium or platform customers will use to access their content, but it’s the customers who make that decision. Independently of their industry, they were determined to leverage an omnichannel approach to treat their customers with a seamless and extraordinary experience. How about you? Feel convinced yet? Your call.